In 2008 after a redesign of their logo and corporate identity, we gave Murdoch a new crisp and professional set of brochures. Murdoch’s assets under management have increased three fold since and their company grew with changes in management and structure. New brochures were therefore need to explain the changes and their new products. 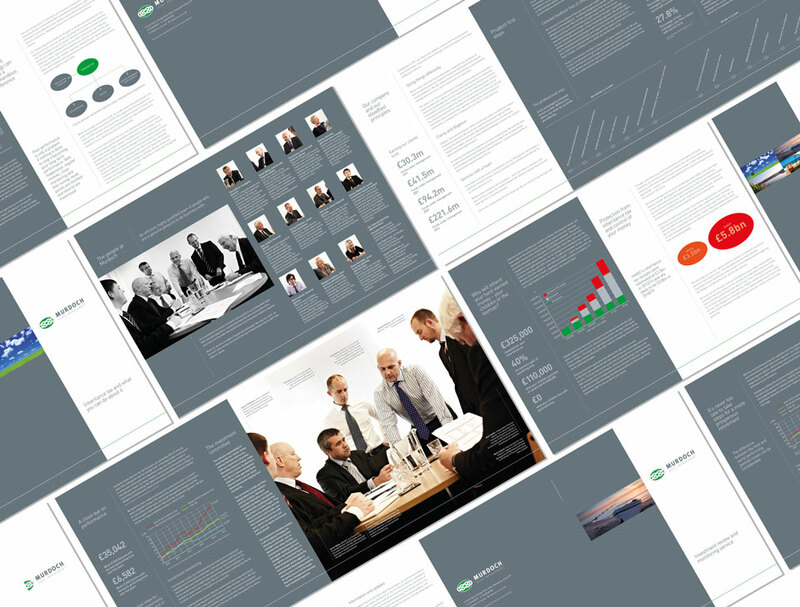 To design a set of brochures containing new company, investment and product information. Retired persons with savings and portfolio of investments who may have had fingers burnt in the past. They want a company they can trust, are not just after short gains. They need to be kept informed, like the personal touch, don’t like slick ‘banker types’, like detail and explanation. This company is comprised of honest and trustworthy people and I believe in their philosophy. They are obviously highly experienced and experts and will keep me informed of how my investments are performing, changes to rules and regulations and react quickly if need be. Murdoch are the best people to trust my investments with as they have a very robust selection process, are caring, honest and keep me informed. Murdoch now have a strong identity and message carried throughout their brochures. Clients immediately see that Murdoch are professional and established and look after their client’s interests. Regular newsletters keep clients informed of investment news.